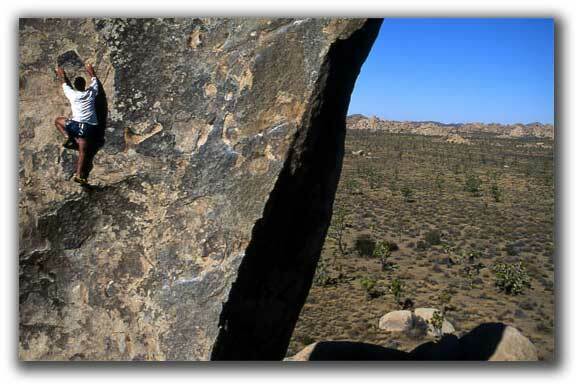 One or two day rock climbing courses are offered on selected weekends and weekdays. This two day rock climbing course is the logical follow up to the Basic Rock Climbing Instruction Weekend. It is also for the indoor gym and or sport climber who needs and wants to develop traditional style (trad climbing) rock climbing skills. The focus of this rock climbing seminar is to provide a balance and understanding of anchoring skills and to improve your rock climbing movement techniques. You will learn to bypass inappropriate time consuming anchor setups enabling you to create quick efficient setups, minimizing risk and maximizing rock climbing time. These skills are also critical in helping you assess the quality or (lack there of) of someone else's anchors you may happen to be climbing on. The weekend goal is to provide you with the needed skills to go out to your climbing area and set up top rope protected climbs with efficiency and confidence. These classes are taught by highly skilled and experienced guides averaging thirty years of personal climbing with an effective method of coveying the critical concepts and principles. Day 1 will begin with understanding concepts of active and passive protection placements (ie, spring loaded camming devices, stoppers, hexcentrics) and how to identify solid protection placements with an additional emphasis on rock quality. A breakdown discussion of the three different types of general anchor types( i.e.natural, artificial and fixed anchors) The second half of the day will be spent climbing a variety of face and crack climbs developing and improving your rock climbing movement skills. Cracks climbing skills will include how and when to create thumbs up or down hand jams, fist jams, armbars, finger locks, finger stacks, foot jams, toe jams and various other opposing pressure techniques along with other more specialized crack climbing techniques. Day 2 will continue to focus and refine individual anchor placements and the development of systems utilizing the RENE method of creating Redundant, Equalized and the No Extension anchor systems: The use and implementation of extender ropes, learning and practicing equalizing with slings, cordelettes and incorporating anchors with multiple anchor flanks with top rope alignment techniques. The remainder of the day will again be spent on the rocks, being challenged on top-rope protected climbs up to 5.10. The specialized crack climbing techniques taught on day one will be practiced and refined on this day. Ideally, you will be climbing off the anchors you built under the guidance of your climbing guide /instructor. These skills are prerequisite to the Leading Skills Climbing Instruction course. All trips are tailored to the guide's discretion. Cost: $390 per participant for both days or $195 per participant for one day. Costs are based on a minimum of two participants. To make your reservation, Click Here! complete and submit. You will receive a confirmation by Email within 48 hours. All reservations are subject to a cancellation policy. Prices are based on a minimum of three participants. In the event that course participant minimums are not met, options include; rescheduling, receiving a full refund or converting a class into "Private Guiding" and paying private guiding rates. 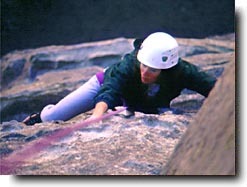 Dates are two day "Intermediate Rock Climbing "courses.